We are delighted to be celebrating our 23rd anniversary in business, growing from modest beginnings in 1994 to become the UK’s largest independent investigation companies today. 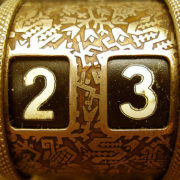 The ‘enigma number’, ‘23’ is believed by some to be the number which all incidents and events are associated with. The origins of enigma 23 lie in a statement in 1960 by a Captain Clark who bragged about sailing for 23 years without incident, before dying that very day in a shipping accident. Also on the very the same day in 1960, Flight 23 went down in Florida killing everyone on board. The pilot was called Captain Clark. Jim Carrey stars in the film Enigma 23 where he plays a character obsessed with the theory. John Forbes Nash, the Nobel Prize-winning mathematician and subject of the film ‘A Beautiful Mind’ was also obsessed with the number 23, spending a great deal of his life trying to prove a link between the number and life order. Nash published 23 scientific articles in his life, and died in a tragic accident in May 2015, on the 23rd to be precise. Luckily it’s not all bad news for the number 23, which is one of the “happy numbers”. The mathematicians among you will know that in recreational mathematics, the so-called “happy numbers” are integers that produce particular sequences that stabilize at 1. 23 is also the number of chromosomes it takes to create human life and the number of vertebra human have running down the main part of their spine. Nissan always enter their race cars under the number 23 into motorsport events (the pronunciations of “2” and “3” in Japanese are “Ni” and “San”. And finally, the tilt of the Earth’s axis is 23 degrees (well, 23.5 to be accurate). 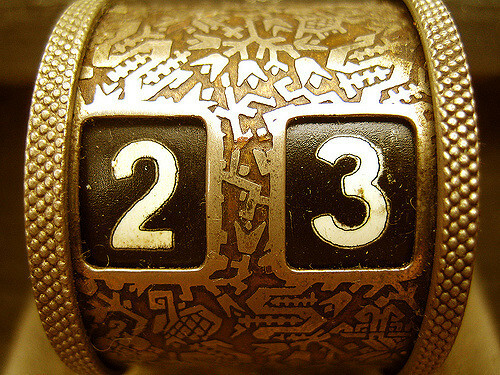 The Brownsword Group plan to adopt the “happy number” meaning of the number 23 over the next year. With business increasing and fraud decreasing thanks to their service solutions it is the only predictable option.